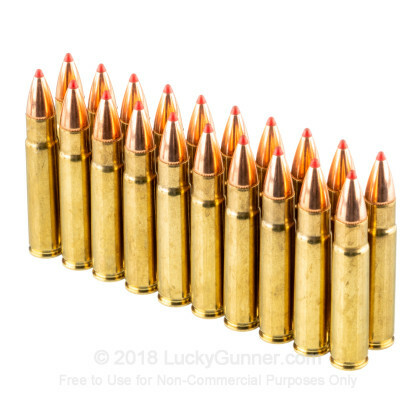 Premium 35 Rem Hornady 200 Grain FTX Ammo For Sale Online at Lucky Gunner - In Stock .35 Rem Ammo! 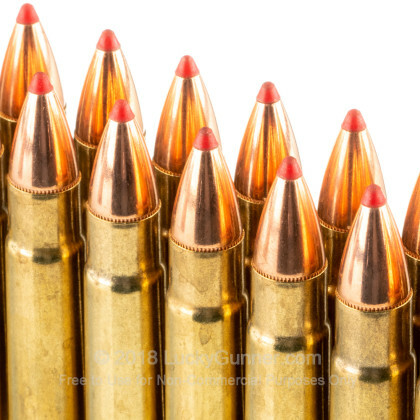 Have you been hunting tirelessly for 35 Remington ammunition? 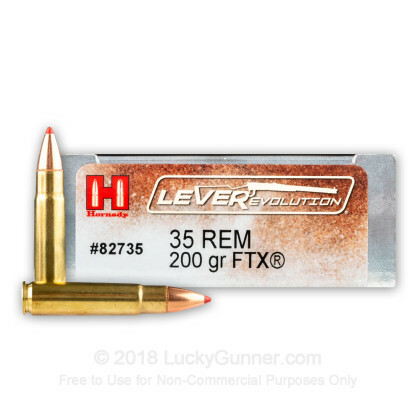 Good news, we've got 35 Rem in stock at Lucky Gunner today! 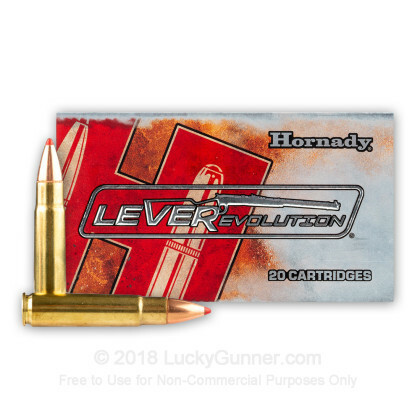 This .35 Rem round from Hornady is produced under their LEVERevolution line of ammunition that features an elastomer Flex Tip Technology ballistic projectile tip that aids with feeding, ballistics and bullet expansion. The flatter trajectories of this round ensure your shots are more accurate and therefore more deadly. 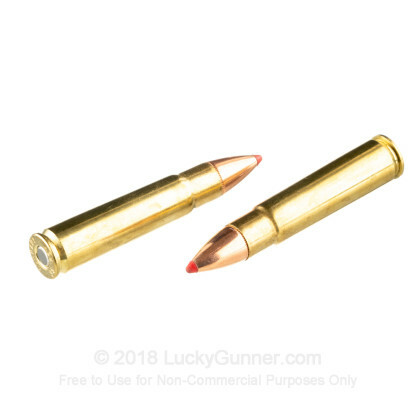 Featuring non-corrosive boxer-primed new production brass cases (great for reloading) and clean-burning powders, your .35 Remington rifle is sure to love this ammunition! 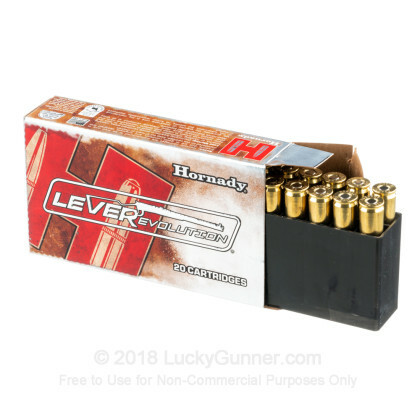 A Great Round - LeverRevolution .35 Remington.